Do you know a kid who could make Brownhills alive… With the Sound of Music? Looks set to be a great show, as usual! Old pal of the blog Jamie Norgrove contacted me from Brownhills Musical Theatre Company yesterday to ask if I’d put out this appeal for children and young people who’d like to audition for the youngsters roles in the company’s next production, ‘The Sound of Music’, to be staged at the Lichfield Garrick Theatre in May 2019. 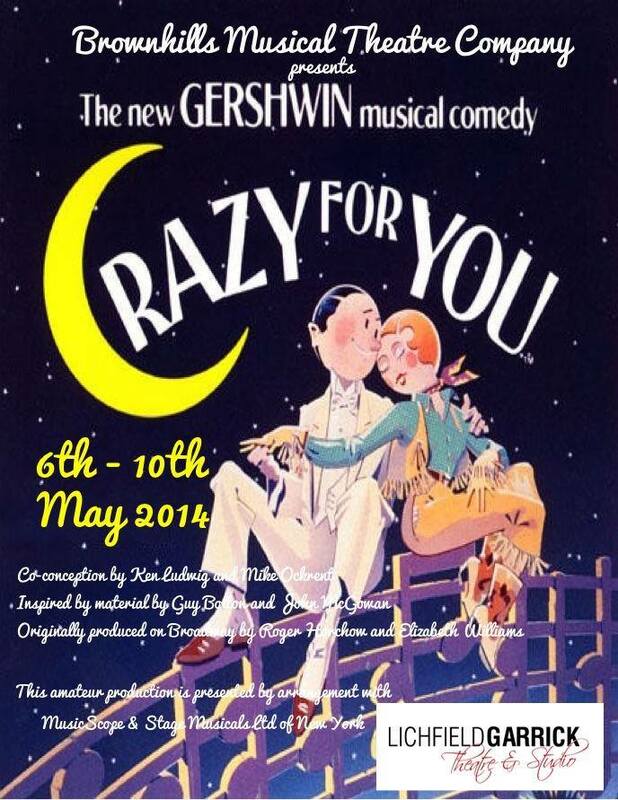 Brownhills Musical Theatre Company are are a highly regarded, very talented collective who have won many awards for what are, to put it frankly, very professional shows – they generally stage two per year. This is a great chance to get involved in theatre and performance, and make something really wonderful at the same time. ARE YOU THE NEXT ‘JUNIOR’ VON TRAPP? BMTC are looking for young actors for our May 2019 production of ‘The Sound of Music’, for performances at The Lichfield Garrick from 7th – 11th May 2019. In addition to the seven children, we are also looking to cast Rolf Gruber (17) at the same time. The parts of Leisl and Rolf will be covered by one actor for each role, the other six children will be doubled up for the run of the show. The Children’s Launch night is Tuesday 9th October at The Lamp, Brownhills Community Centre, Brownhills from 7:30pm. Childrens auditions are planned for Sunday 18th November. If you or anyone you know is interested in joining us, please email BMTCSoundofMusic2019@hotmail.com to register your attendance for the launch night and to be sent further information. Many thanks and look forward to seeing you on 9th October! Brownhills MTC have an excellent reputation for staging sellout shows. This entry was posted in Brownhills stuff, Events, Followups, Fun stuff to see and do, Local media, Local music, News, Reader enquiries, Shared media, Social Media, Spotted whilst browsing the web, Walsall community and tagged Audition, Bobby, boys, Brownhills, Events, Facebook, Garrick, Gerschwin, Jamie Norgrove, Lichfield, local blogs, MTC, Musical Theatre Company, musicals, The Sound of Music, Theatre, Things to do, Twitter. Bookmark the permalink.